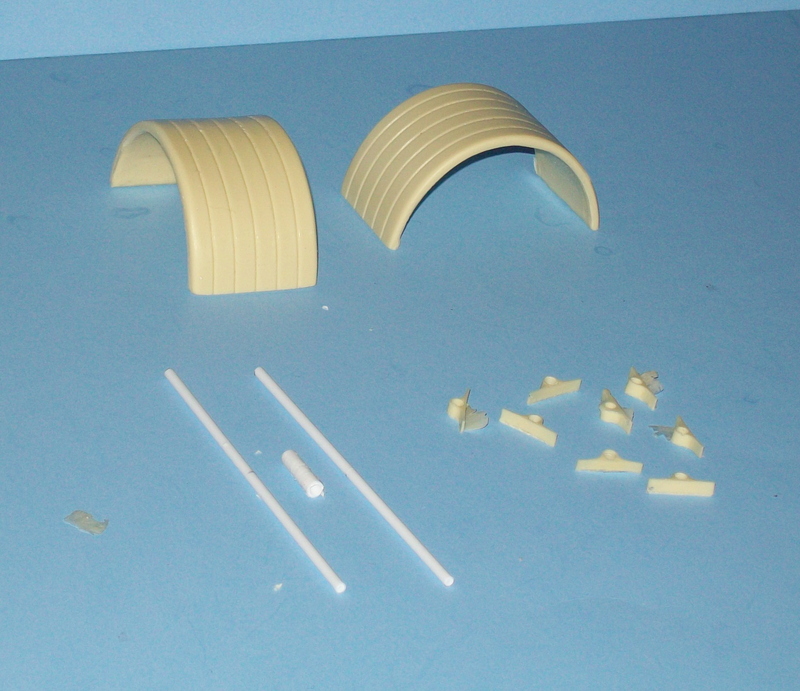 Finely milled styrene tool locker kit with pose-able door & slamlocks. Finely milled styrene tool locker kit with pose-able door & photo etched slamlocks. 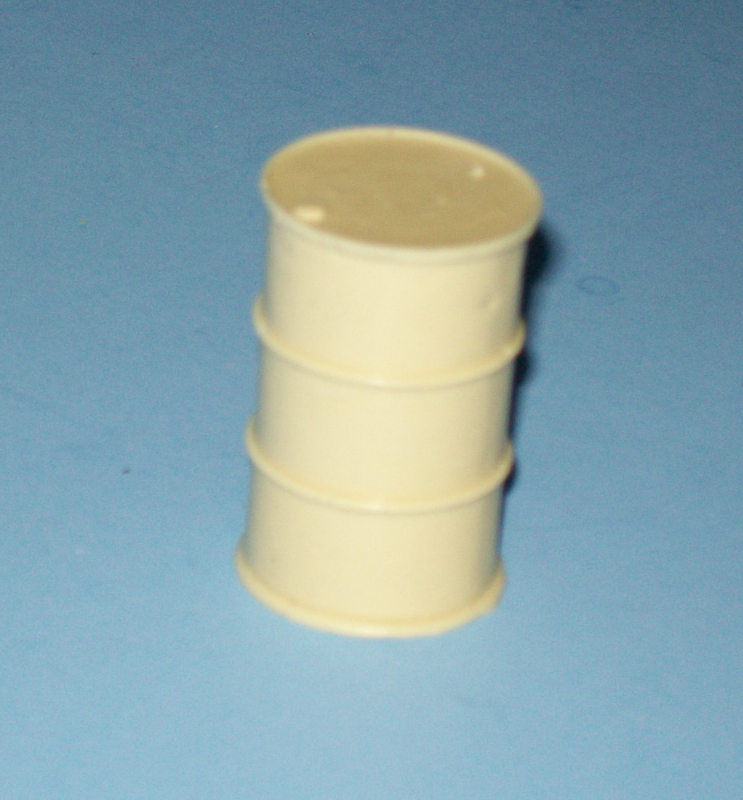 Translucent resin on photo etch marker lights. 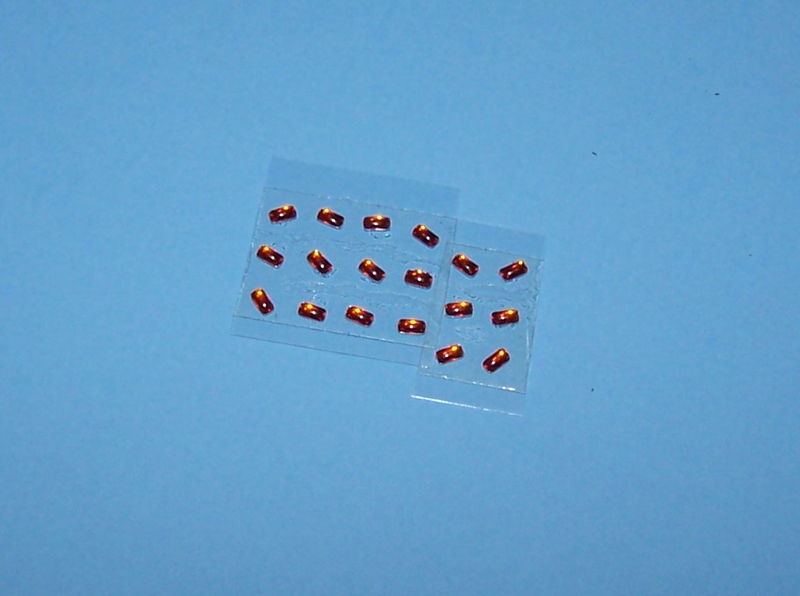 Set of 20 amber marker lights. 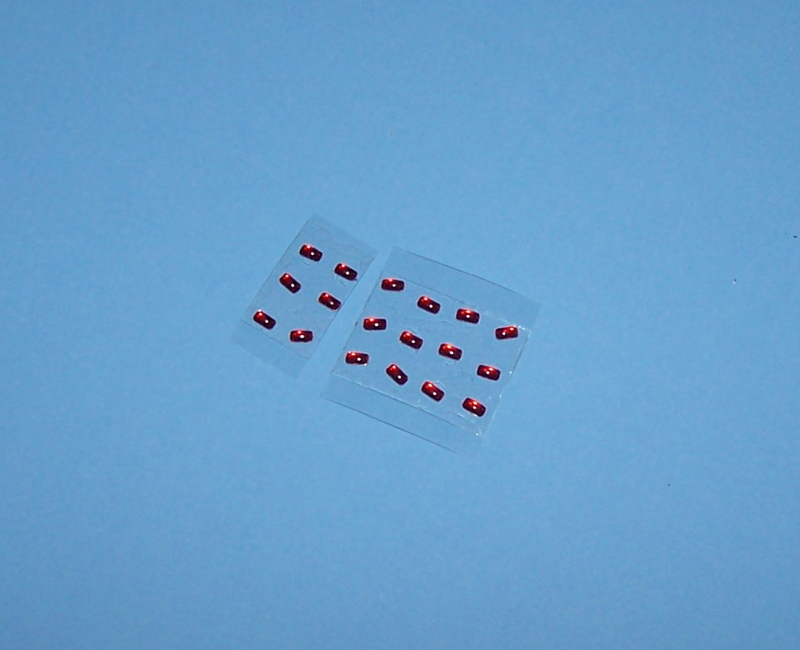 Set of 20 red marker lights. Set of 18 amber marker lights. Set of 18 red marker lights. 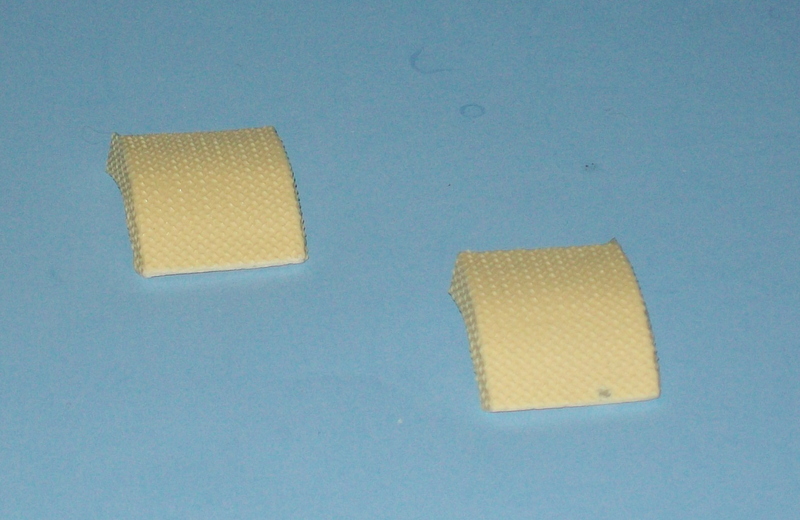 Set of 2 fenders with mounting hardware. Diamond plate fenders used on log trucks to keep the trailer tires off the tractor tires when the trailer is placed on the truck for the return trip. 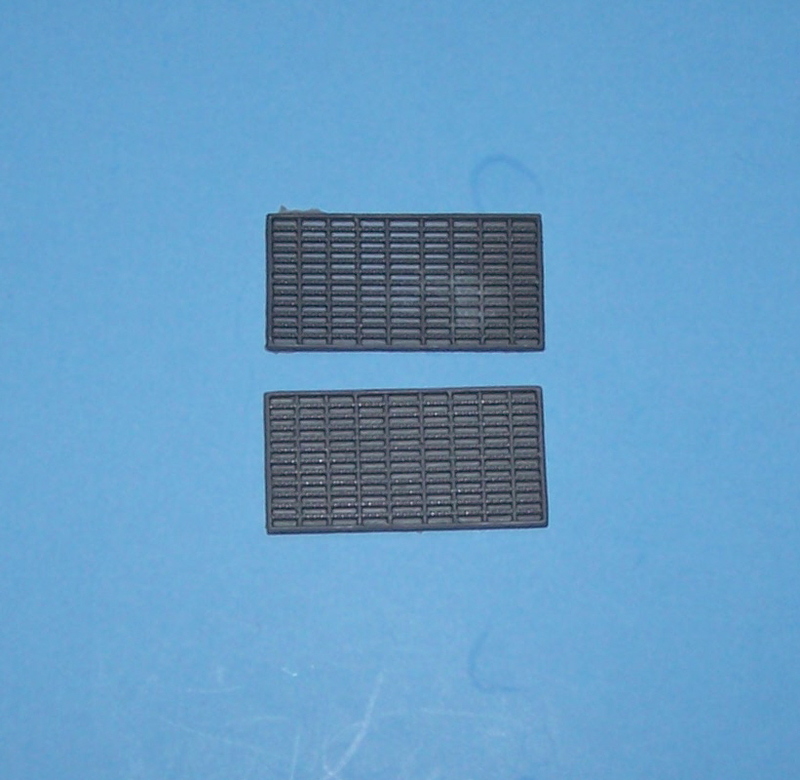 Set of 2 deck plates 37mm X 19mm. 1 55 gallon (44 imperial gallons) steel type drum. 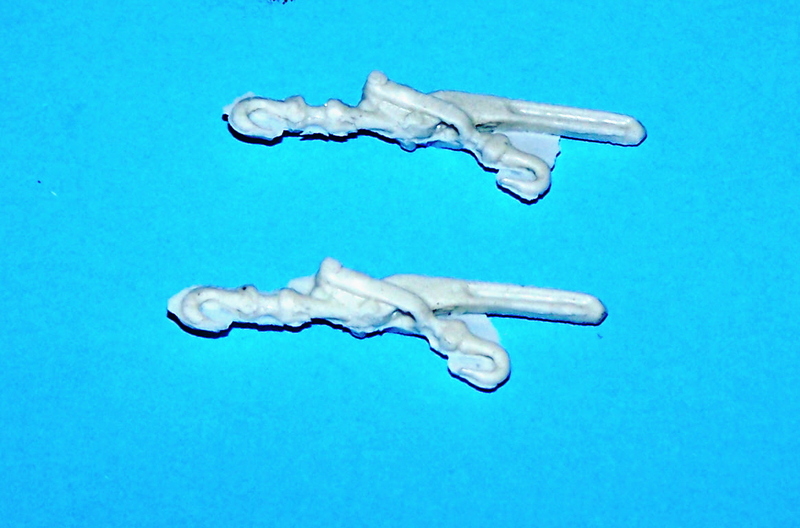 Set of 2 chain binders. 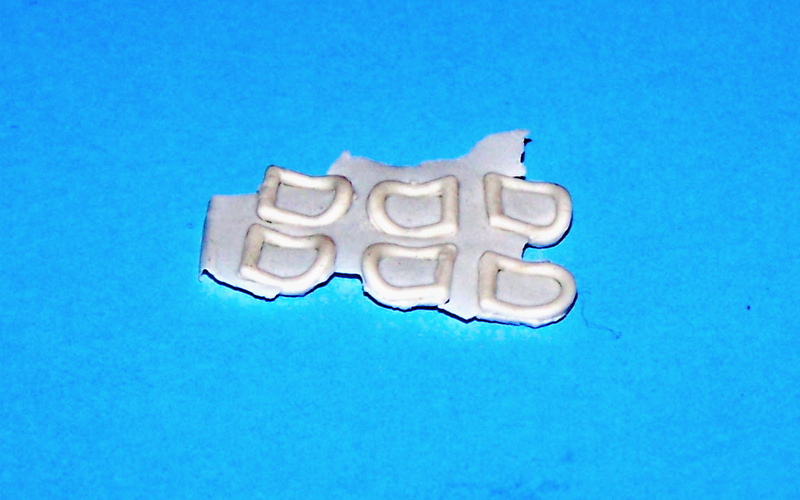 Set of 4 D rings. 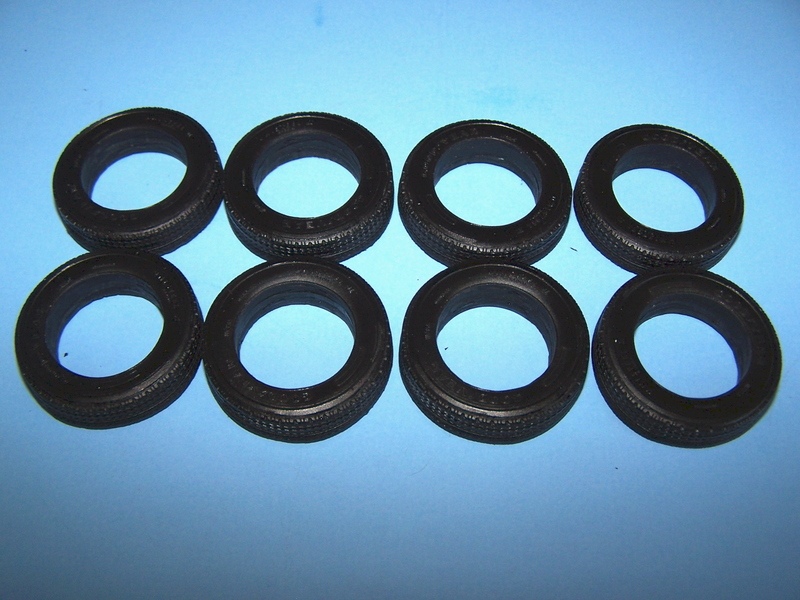 Set of 8 hard resin tires, cast in black resin. 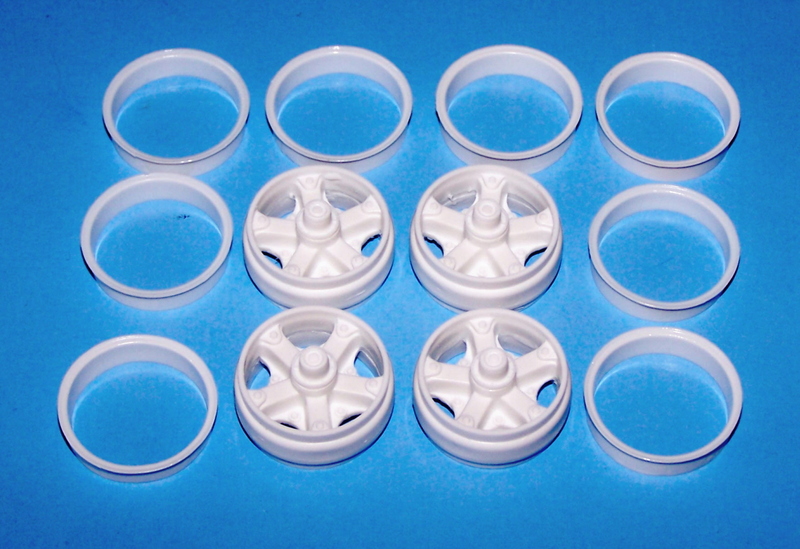 Set of 4 wheels with inner and outer wheel rings. 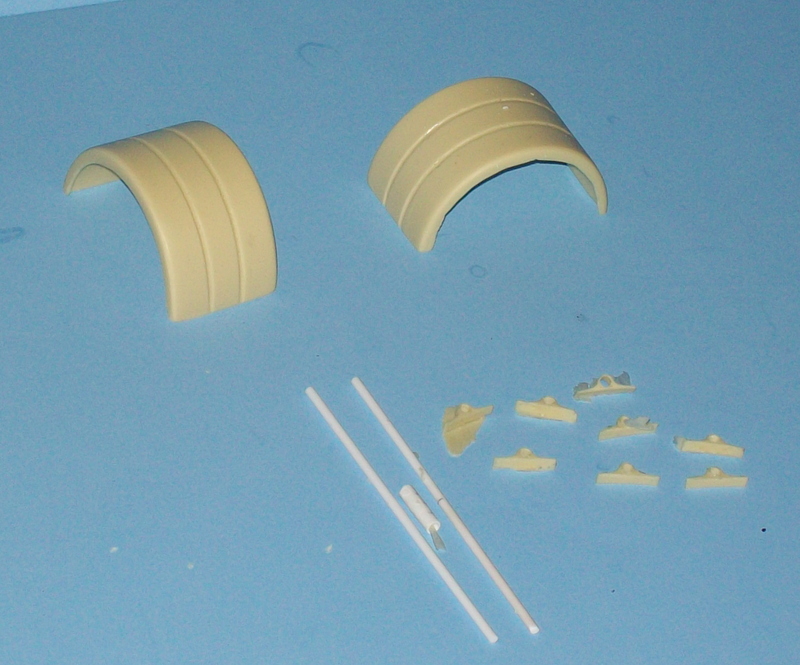 Use AMT/Ertl or plaskit 20" tires.